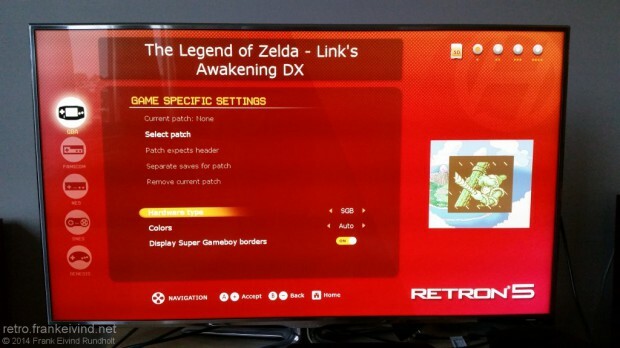 Over the last months, Hyperkin have released beta version of the firmware for Retron 5. But now, they have released a stable firmware v2.0. The biggest addition to last firmware (v1.6) is support for IPS/UPS patch. This means that you can patch for example Japanese games with an English translation and add graphical hacks to games. They also added Super Game Boy-emulation. See picture bellow on how Pokemon Red and Link’s Awakening are looking with their Super Game Boy-borders. 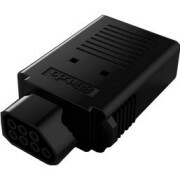 This entry was posted in console, Hyperkin, RetroN 5 and tagged console, firmware, Hyperkin, RetroN 5. Bookmark the permalink. Hi. Can you point me to a reference on how to apply these translation patches with the RetroN5? Is it pretty obvious after digging through menus on the system? It should be fairly simple. When a game is inserted, goto the Game-menu, then Game specific settings and choose Select patch. The patch can be stored where ever you want on the SD-card. Thanks. I also discovered that this patching also allows for the playing of ROMs off the SD card. To summarize, I used SamIPS2 application. 4- IPS file: Give it name of the ROM you’re side loading. 5- Click Create patch & then move it to the SD card. 6- Insert cart in to the Retron 5, patch it and load the modified IPS file off the SD card. Then back to Play game.